Android for work allows a more complete management of Android mobile. 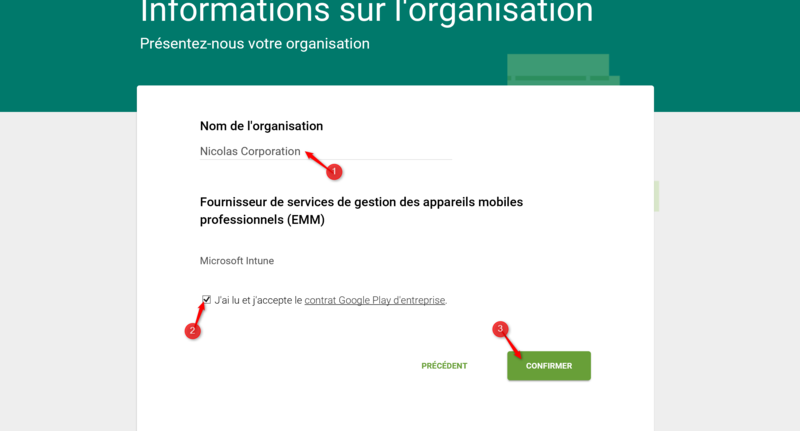 It allows to expand the possible configurations in an MDM as Microsoft Intune. Data security: enterprise data silos is performed and this in a business profile. Data loss can therefore better managed. Application security: application of unknown source installation is more easily managed. It is also possible to proceed with specific configurations. 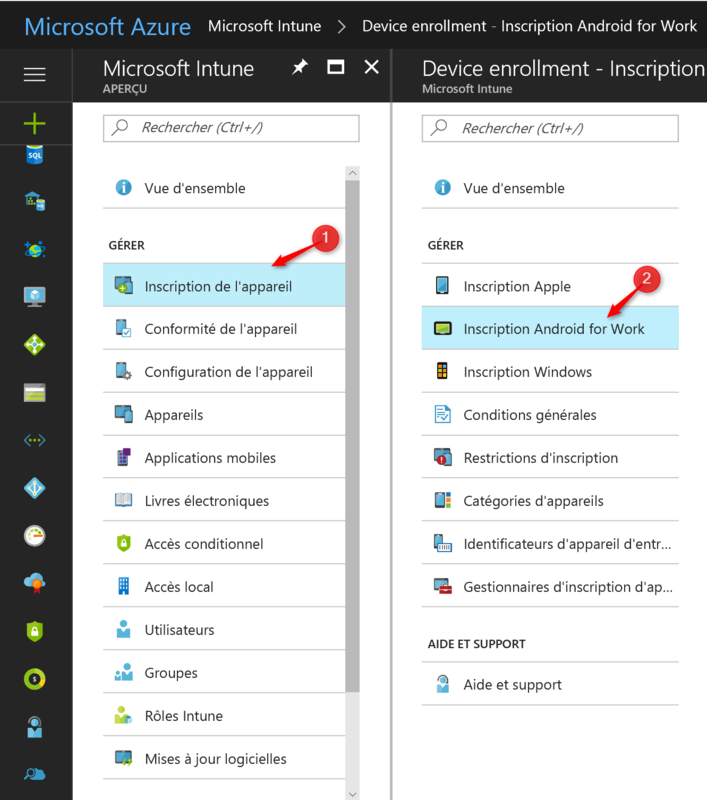 In the Microsoft Azure (Azure.microsoft.com), go to Intune. Click mobile device management . Finally and incription android for works. In the new window, click Configure. Click Connect and enter your Google login and click the button in the window that appears. Subsequently, enter the name of the Organization and select the checkbox to accept the contract. Click on confirm to validate the modification. 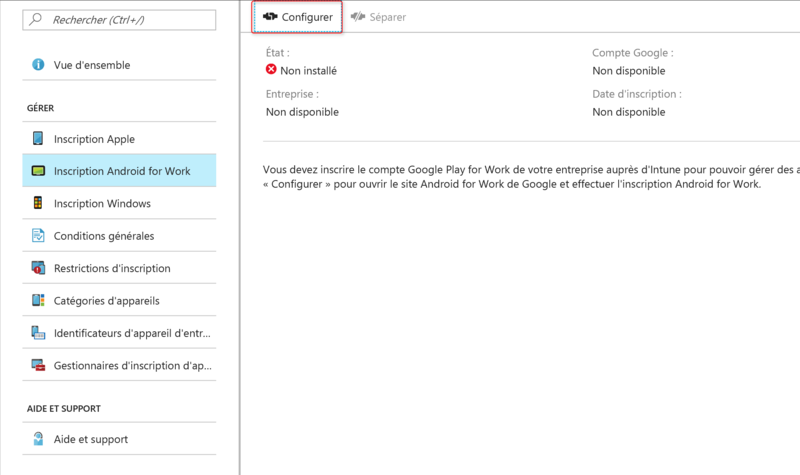 Android for Work is properly configured and enabled.